The impact crusher produced by Shenyang Mining Heavy Equipment Co.,Ltd is used for crushing the materials with medium and hard hardness. 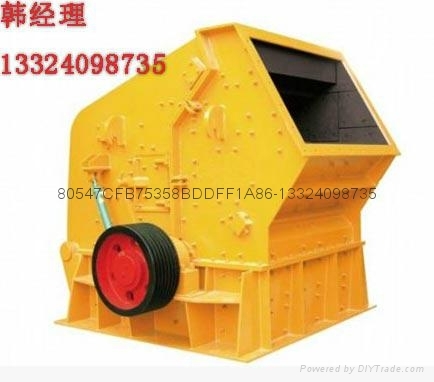 According to production requirement, this type of crusher can produce various grades of material grains, has well crushing effect about crushing the materials with medium hardness. The crusher has the advantages of large crushing ratio, high production in an hour and uniform discharging particles. We will give you the most vocational support according to your requirement about environment of mine site, types of mine materials, crushing methods and other questions. 2 The gap between impact plate and hammer can be adjusted to effectively control discharging size. 5 The keyless connection is economical and reliable, also convenient to maintain.